Here's a pick of some choice events for this important month. 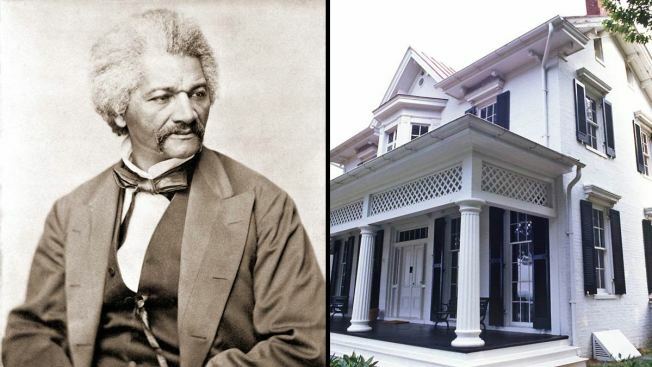 Celebrate Frederick Douglass' 198th birthday throughout the weekend at his home (1411 W St. SE) and around Anacostia. Black History Month has officially started. Check out eight events happening around the city to commemorate the month, learn more about important historical leaders and celebrate black history. Learn more about the Civil Rights movement from current exhibitions at the Newseum (555 Pennsylvania Ave. NW). The exhibition "1966: Civil Rights at 50" depicts the events of 1966, including the rise of the Black Power movement and the riots in more than 40 cities that summer. "Make Some Noise: Students and the Civil Rights Movement" takes a look at the college students involved in the movement and features a part of the original Woolworth's lunch counter from the first sit-ins in Greensboro, North Carolina. The Martin Luther King Jr. Memorial Library (901 G St. NW) near Chinatown will play three movies from 2015 during their free film festival: NWA biopic "Straight Outta Compton" (Feb. 2), Spike Lee's "Chi-Raq" (Feb. 9), and Stanley Nelson's "The Black Panthers: Vanguard of the Revolution" (Feb. 23). Visit the library's website for showtimes and other information. 3. Celebrate Frederick Douglass' Birthday at the Frederick Douglass National Historic Site and around Anacostia: Feb. 12 from 1:30 to 10 p.m. & Feb. 13 from 10:15 a.m. to 5 p.m. Celebrate Frederick Douglass' 198th birthday throughout the weekend of Feb. 12-13 at his home (1411 W St. SE) and around Anacostia. Several free events will take a look at Douglass' remarkable life, including a children's story program and a book signing for local historian John Muller's "Frederick Douglass in Washington, D.C.: The Lion of Anacostia." Go here for specific times and locations for the events. 4. See "Queen Nur's Voices of Courage: Profiles of 19th Century African-American Women": Feb. 18, 10:15 a.m. & 12 p.m. Storyteller Queen Nur highlights the lives of seven notable African-American women: Sojourner Truth, Maria Stewart, Cathay Williams, Frances Harper, Ida B. Wells, Mary McLeod Bethune and Mary Church Terrell. Familiarize yourself with these important historical figures through the vivid art of storytelling at the Publick Playhouse Cultural Arts Center (5445 Landover Road, Cheverly, Maryland). 5. Attend "Ashes and Embers: A Screening and Discussion with Ava DuVernay": Feb. 27 from 7 to 9 p.m. The 1982 film "Ashes and Embers" chronicles the life of an African-American Vietnam War veteran, directed by Ethiopian filmmaker Haile Gerima. "Set amidst the challenges of Black urban life in the early 1980s, the film is the story of a disillusioned African-American Vietnam vet grappling with his turbulent past and struggling inside a chaotic political environment to make a future for himself," event planners say. Academy Award-nominated director Ava DuVernay will lead a discussion with Gerima about the film and its re-release. The event, to be held in the National Museum of Natural History's Baird Auditorium (10th Street and Constitution Avenue NW), is free, but attendees should register online here. Discover contemporary black artists at Zenith Gallery (1429 Iris St. NW), which is showcasing works from local artists across a wide variety of media from watercolor paintings to jewelry. The exhibit runs for a month starting on Feb. 5; meet-the-artists receptions will be held Feb. 5 from 4 to 8 p.m. and Feb. 6 from 2 to 6 p.m.
7. Take a Black History Month Lunch Cruise on the Potomac: Feb. 20, boarding at 11 a.m.; sailing from 11:30 a.m. to 1 p.m. Enjoy a lunch cruise on the Potomac River with a performance from D.C. saxophonist Frankie Addison. A DJ will also be on board spinning music from a variety of African-American artists through the ages, including Duke Ellington, Marvin Gaye, Diana Ross, Michael Jackson and more. You can book tickets ($49.90 for adults; $29.95 for kids) online here. The Spirit of Washington cruise leaves from Pier 4 on Water Street SW.
8. Attend "Blacktivism: The New Generation" at The George Washington University School of Media & Public Affairs: Feb. 5 from 7 to 9 p.m. This event looks at the new generation of black activism and current experiences of black lives through photography, multimedia pieces and artistic performances. You'll find it the second floor of GW's SMPA building (805 21st St. NW). Register for the free event online here.